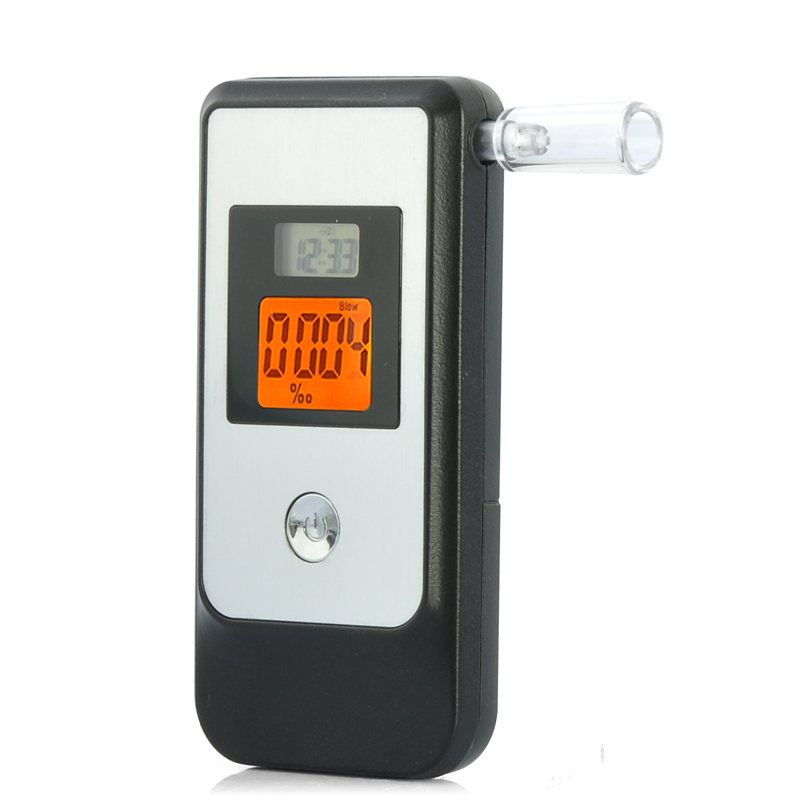 Successfully Added Breathalyzer with Retractable Mouthpiece and Dual LCD display to your Shopping Cart. Mistaken for a lightweight mini mobile phone, you won’t look out of place with your new portable breathalyzer in the pub, bar or at that dinner party. With a patented retractable blow pipe to prevent damage and safely pop in your pocket, this breathalizer has been designed with you in mind. Its quick response-resume and accurate range readings will put you on the right road to assess your situation accurately and safely. In addition with its dual LED display, you’ll get not only an alarm to suggest home time but a timer and 24 hour clock visible on its bright Orange LED display, designed for night viewing. Or make use of its many free replaceable mouthpieces after every night out, so contamination won’t be an issue. This easy to use, modern and patented design is our favorite breathalizer to date! Now on offer at our lowest price for a patented product, this item can be purchased in larger quantities, saving you money and increasing margins. Or simply buy one for your personal use and still receive an unbeatable price and even lower shipping rates. Brought to you by the leader in wholesale direct from China Electronics, Chinavasion.